ART of LIFE, established in 2016 combines art pieces from local emerging artists with touch of lifestyle, applied in urban and hip daily goods. 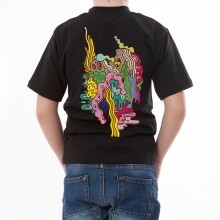 A collaboration to create exclusive collections, all pieces honour the works of the original artist – Hendra Hehe, Jogjakarta, with his whimsical, expressive, and often colorful work of art. 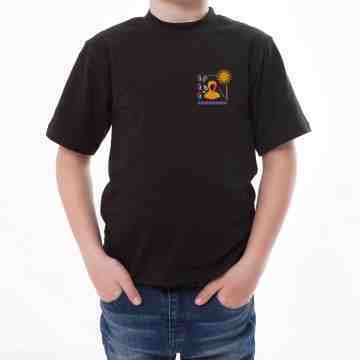 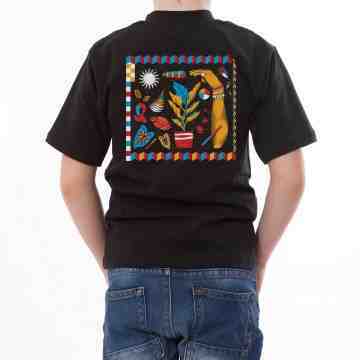 We are offering this cool t-shirt also for your little ones ranging from age 5 - 12 years old.